As a glassmaker and a magician-in-training, Opal Cowen understands trial by fire. Now it's time to test her mettle. 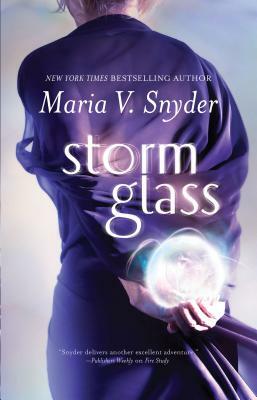 Someone has sabotaged the Stormdancer clan's glass orbs, killing their most powerful magicians. The Stormdancers--particularly the mysterious and mercurial Kade--require Opal's unique talents to prevent it happening again. But when the mission goes awry, Opal must tap in to a new kind of magic as stunningly potent as it is frightening. And the further she delves into the intrigue behind the glass and magic, the more distorted things appear. With lives hanging in the balance--including her own--Opal must control powers she hadn't known she possessed...powers that might lead to disaster beyond anything she's ever known.